SACHAJUAN is driven by the beauty of simplicity. When they launched their range, they felt that haircare was becoming too complex. SACHAJUAN wanted to make things easier for stylists and clients. Since early 2000 they’ve worked with Swedish scientists to develop the perfect professional products. SACHAJUAN let the performance of products speak for itself and avoid hollow marketing claims. They use only the ingredients they need; nothing more, nothing less. They are honest in product information, so everyone understands which ingredients they’ve used and why. SACHAJUAN product philosophy combines style with substance, form with function. If you have any questions or would like more information about the SACHAJUAN products we carry, please contact WCB Customer Service or your Sales Representative at WCB. 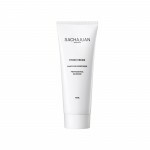 SACHAJUAN Colour Protect ConditionerConditioner with Ocean Silk Technology and UV-protection to shield colour treated hair. Size: 100 ml, 250 ml & 1000 mlFeatures & Benefits: Conditions and detangles, leaving hair supple and strong with bounce and shine. Use on similar or darker tones to protect colour-treated hair. Usage Instructions: Massage into washed hair, comb through gently Allow 1-2 min..
SACHAJUAN Colour Protect ShampooShampoo specially formulated with Ocean Silk Technology, less wash active ingredients and microemulsion technology to prevent colour fade. Size: 100 ml, 250 ml & 1000 mlFeatures & Benefits: Adds bounce and leaves hair with a silky shine Use on similar or darker tones to protect colour-treated hairUsage Instructions: Massage a small amount into wet hair Rinse thorou..
SACHAJUAN Curl ConditionerConditioner designed to nourish and define curls. Builds strength and shine. Contains Ocean Silk Curl Complex to refine each curl. Size: 100 ml, 250 ml & 1000 mlFeatures & Benefits: Sealing out frizz, creating soft curls that last.Usage Instructions: Gently smooth into curl lengths, focusing on the ends Comb through gently. 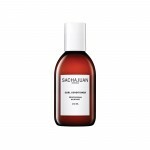 Leave on hair for 1-2 minutes Rinse well..
SACHAJUAN Curl ShampooShampoo created for curls. Ocean Silk Technology and wheat protein nourish the curl cuticle to build strength and shine. Size: 100 ml, 250 ml & 1000 mlFeatures & Benefits: Nourish the curl cuticle to build strength and shine. Usage Instructions: Massage gently into wet hair Rinse thoroughly Follow with SACHAJUAN Curl Conditioner..
SACHAJUAN Curl TreatmentIntensive curl care treatment. Contains Ocean Silk Curl Complex designed to combat frizz and repair split ends. 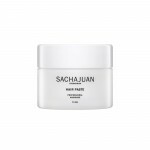 Size: 100 ml, 250 ml & 1000 mlFeatures & Benefits: Smooths curl cuticle to enhance manageability and shine Builds a nourished foundation for styling, creating soft, bouncy curls that lastUsage Instructions: Smooth into freshly washed hair Leave in curls for 5-10 ..
SACHAJUAN Dark Volume PowderDark Volume Powder is a powder-based spray with dark pigments that creates volume and provides structure especially created for dark hair. Swedish Cosmetics and Beauty Awards - Swedish Cosmetic Industry AwardSize: 75 ml & 200 mlHair Type & Condition: Suitable for both long and short hairFeatures & Benefits: It is dry and gives a matt finish and a fresh feel between s..
SACHAJUAN Hair After The SunHair After The Sun with Ocean Silk Technology re-moisturizes, highly conditions and restores shine in your hair after exposure to sunlight. Size: 125 mlFeatures & Benefits: Can be leaved in or rinsed out, then style as desired.Usage Instructions: Apply to damp or dry hair Rinse out or leave in for maximum benefit and style as desired Can replace your conditioner when..
SACHAJUAN Hair Cleansing CreamRefresh your hair with the new SACHAJUAN Hair Cleansing Cream, which cleanses the hair using a new, nontraditional technique based on caring waxes. Size: 500 mlHair Type & Condition: For all hair types including dry, bleached, coloured or damaged hair. Features & Benefits: The new cream formula does not lather but creates shine, luster, moisture and softness while re..
SACHAJUAN Hair Control TreatmentA special treatment with Procapil that contains vitamin enriched Matrikine, Apigenin and Oleanolic acids from natural olive tree leaves. Procapil helps to improve the condition of the scalp. Size: 125 mlFeatures & Benefits: The active ingredients absorb into the hair strands and the scalp resulting in an overall improved hair quality and better hair growth. 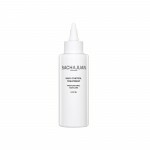 Usage I..
SACHAJUAN Hair Mousse Medium HoldHair Mousse is the ultimate styling aid that gives hair great volume, body and shine. Ideal for fine, flat and difficult to style hair since this formula - unlike similar products - leaves hair weightless, nonsticky and shiny. Size: 200 mlHair Type & Condition: Ideal for fine, flat and difficult to style hairFeatures & Benefits: Gives hair great volume, body and s..
SACHAJUAN Hair RepairThis intensive hair treatment with Ocean Silk Technology for damaged and stressed hair promotes cell regeneration and lends vitality and strength. Elle International Beauty Award - ElleSize: 100 ml, 250 ml & 1000 mlFeatures & Benefits: Its long lasting effect and ultra frizz reduction leave your hair manageable with a silky shine and a healthy look. Usage Instructions: Massa..
SACHAJUAN Hairspray Light and FlexibleHairspray Light and Flexible is for everyday styling with a touchable feel. Perfect tool for styling without stiffness or stickiness. Size: 300 mlHair Type & Condition: For all hair typesFeatures & Benefits: It adds a light, bouncy hold that will not weigh your hair down Can be layered to build a style that feels natural, never leaving hair dullUsage Instr..
SACHAJUAN Hairspray Strong ControlHairspray Strong Control is the ideal spray to finalize your look. This spray will set your style from morning to night. Use to perfect your look. Flair Savoir Beauty Award - Flair Savoir Magazine Elle Best of Beauty 2017 - ElleSize: 75 ml & 300 mlHair Type & Condition: For all hair typesFeatures & Benefits: Giving strong hold to any style and never leaving hair..